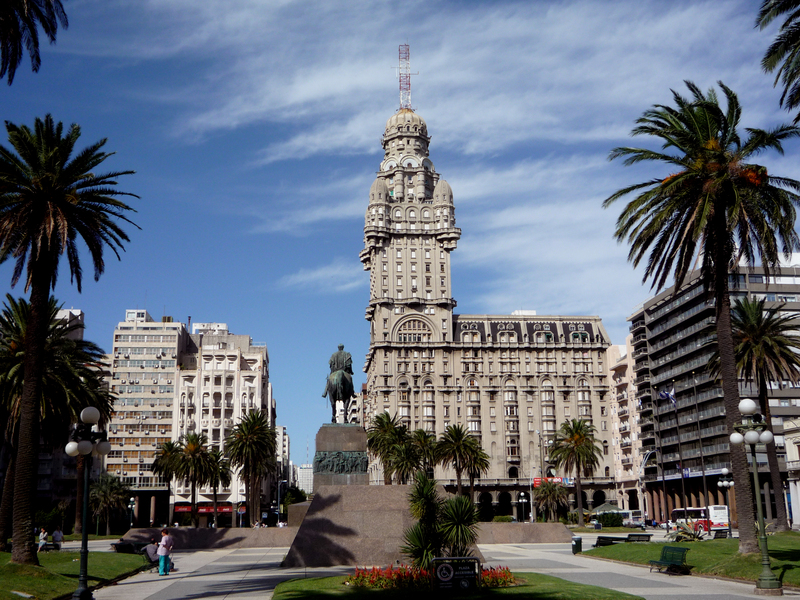 Encircled by busy roads and countless important buildings, Plaza Independencia acts as the nerve center of Montevideo. The square's centerpiece, a 30-ton bronze statue of Jose Artigas, the national hero who helped Uruguay achieve its independence, stands proudly in the middle of the expansive public space. Go below the statue to visit a mausoleum holding the revolutionary leader's remains. 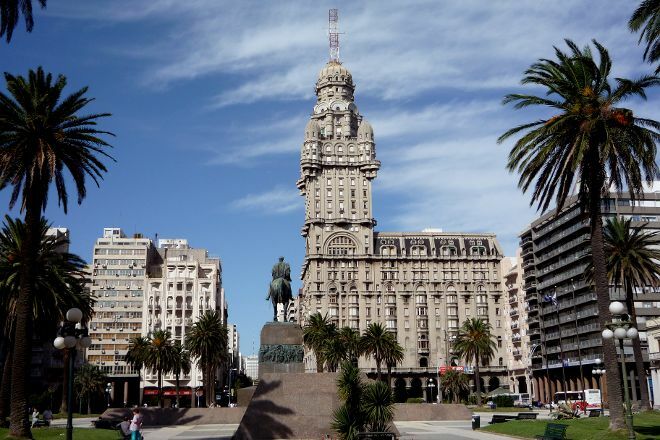 Put Plaza Independencia and other Montevideo attractions into our Montevideo vacation planner , and watch your holiday take shape. This square that has much of the traditional and solemn of a square, including the omnipresent Artigas in the center, is an uninspiring and grey space. It has No particular attractions, but it has historical relevance and is a good starting point for the visit to the Old City. This is the "frontier" of the colonial city with the new Montevideo. In the center, under the statue is the mausoleum of the hero. Photo of start in transit to the Old City.